For a couple years, my Baube was the best large print books library patron in Western Washington. Books took flight from locations all across King County and converged at Bellevue’s Lake Hills branch for retrieval by my father. 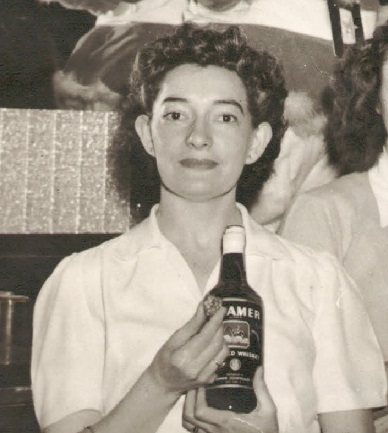 My grandmother at Leonard’s Supper Club in Salem, owned by a couple of her brothers. It was on the vaudeville circuit, and my Baube remembered the Will Mastin Trio (Mastin, Sammy Davis, Sr. and Jr.) performing there. Baube is Yiddish for grandmother, and Yiddish, as for other Jewish people of a certain age, is the language my Baube grew up speaking at home. Home was a sizeable family residence in Salem, Oregon, on Front Street, across from the railroad tracks. Her father Hyman traveled alone on a ship bound for Ellis Island in the early years of the 20th century, sending for his wife and their two children in 1908. The family was from Berisow (Berysaw), a small town in Russia’s tsarist empire (now Belarus) – about an hour north of the capital Minsk and two hours south of Vitebsk (Chagall’s hometown) in today’s travel time. Her mother and eldest siblings left Berisaw for Antwerp, where they boarded the ship for America. Drawn to the Northwest by mysterious forces, or by the Homestead Act, to Oregon they came. In New York they left a thriving Jewish community, one full of kosher butchers, synagogues, Jewish cemeteries, and places to procure phylacteries. Having already traveled from Berisow to Antwerp, and Antwerp to Ellis Island, all in search of a better life, they next went to Salem. There, Hyman was able to own and operate his own shop, H. Steinbock Junk Company, “The House of Half a Million Bargains,” at the NE corner of Commercial and Chemeketa Streets, today a shopping center. 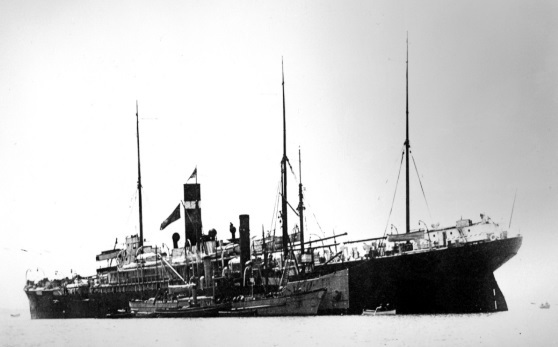 The Gothland: The ship that my great grandmother came over on with my Baube’s two oldest siblings. Jews had been arriving in Oregon ever since 1849. Starting in the 1890’s, large waves emigrated from Russia’s tsarist empire, my family among them. Most remained in Portland, Oregon’s only sizable Jewish community. According to the American Jewish Year Book 1914-1915, the estimated Jewish population of Oregon in 1910 was around 2,300. By comparison, New York’s in that same year was over 912,000. Salem’s handful of Jewish families gathered weekly – the men to gamble and smoke, the women to knit and gab. Each week money was collected and set aside until the families could build a synagogue. This was my Baube’s world. Her family was well-heeled, and she had no shortage of siblings, some of whom were so much older that their children were closer to my Baube’s age. Any number of them at various times could be living in the family home, and as Hyman made more money, he sent it back to Berisow to bring over more family. Judaism was culturally important, even if strict observances fell by the wayside in the new country. So it was that when my Baube took up with a non-Jewish boy at school, Hyman sent her to Portland, to board with a family and attend Lincoln, the Northwest’s first public high school, established in 1869. After graduation, she moved to Seattle, which is where she was living in 1935 when her father, on his way home to Salem from business in Portland, was killed instantly when a train collided with his car. A devastating loss for my Baube, she would cry every time she spoke to me of him, seventy years after his death. About a year later, she met my Zayda, Yiddish for grandfather, who on that day, told her they would marry. She responded that he was crazy, but three months later they were wed, and spent 65 years together. Three baby boomer sons were born as my grandparents made their way down the Pacific coast, my Zayda managing stores in the Block’s shoe empire; Seattle, then Olympia, and finally my Baube’s hometown of Salem, where my father was born. 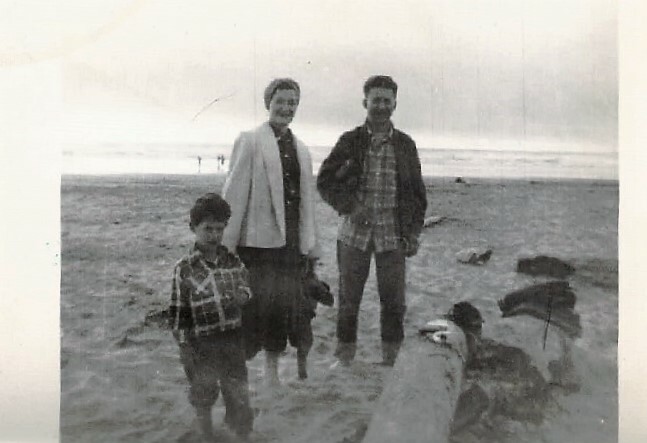 My Baube, Zayda, and father on the beach in Seaside, OR. With two, and then three children, settled in Salem, my Baube and Zayda were ready to buy a home. Though my Baube worked, always did, including as secretary for Thomas Tongue, an Associate Justice of the Supreme Court of Oregon, their combined salaries were not enough to merit a home loan. They were informed as much by Ladd & Bush Bank, Salem’s earliest financial institution. My Baube was partial to Ladd & Bush I suppose, because her father had banked there. No doubt deflated on hearing their loan application was rejected, she asked to speak with a gentleman whose name she remembered from her father’s dealings. My Baube also cried whenever she told this story. My older uncle finished high school and went to the University of Washington, as did my younger uncle, and my father, at which point my grandparents decided there was little reason to stay in Salem. That’s how they came to reside on Mercer Island, a small suburb three miles east of Seattle across Lake Washington, where I was raised. The furthest from grandparents I lived while growing up was about 25 minutes, as my mom’s parents were in north Seattle, but my Baube and Zayda were five minutes away. Though my other grandparents died when I was in high school and college, my Baube lived to be 98 years old, so I had her with me well into adulthood. With the exception of macular degeneration that significantly decreased her visual acuity, my Baube was hale until just before her death, Accustomed to spending many hours crocheting and sitting by the radio, she could finally no longer manage the close stitch work. The television became like a radio to her, as she could no longer see Freddy Couples‘ ball sailing off the tee, or follow Ichiro as he ran out an infield single. Maybe she would still watch Law & Order, but she eventually lost interest in that as well. I don’t know why it didn’t occur to me earlier, but I finally thought of something I could do for my Baube from my home in Atlanta. I could use my still active King County library card to place large print books on hold for her, and send my dad to the library to pick them up. So began our cross-country subscription club. I would pore over pages of the online library catalog, looking through their large print holdings to find titles I thought my Baube would enjoy. Her favorite subjects were grisly mysteries, light romance, and the occasional Jewish-themed work of literary fiction, history, or biography. There would generally be a stack of six to eight books either on the davenport next to her where she would sit and read, or on the floor by her no-skid stockinged feet. She would sit for hours, reading, regaining a childhood pastime long forgotten. For every book she read, she would make notes on a small spiral-bound notepad, consisting of the book’s title and a one or two word summary of how well she liked it. I have this notepad now. It was one of the things I took with me from her room when I went to Seattle for the funeral. I wish I could read it, but it’s written in shorthand, which is how she composed everything that was for private consumption: recipes, the memo line on checks, and, apparently, book reviews. She would always ask me if I’d read the book she was reading, and generally I hadn’t, because mystery and romance aren’t my genres. However, the two books that struck her the most, that she spoke of to me time and again, in general impressions if not specifics, were not her usual fare. They were The Book Thief, a young adult novel set during World War II, and The Story of Edgar Sawtelle, a more serious piece of literary fiction, a Midwestern re-telling of Hamlet, set on a rural dog training farm. I was gratified there was something I could give back to her, even from a distance, so far from my geographic roots as a fifth-generation Pacific Northwesterner. When my Baube broke her knee, I went to visit. She was reading The Yiddish Policeman’s Union, which at once encompassed Jewish culture, a murder mystery, the Pacific Northwest, and Yiddish language, making it a definite selection for my Baube’s reading list, as well as one of my favorites, and an important book to share with her. These particular choices seem significant to me in hindsight. My Baube was always an animal lover, having grown up with dogs, birds, chickens, and a milk cow. It was family lore that my father used the ears of his childhood pet, a sheltie collie named King, as a substitute for a teething ring. I also remember my Baube and Zayda making a present to me of the collected works of James Herriot when I was small. 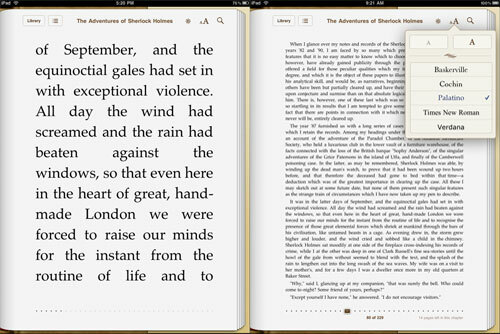 The two other books were set during or in the aftermath of the Holocaust. I think my Baube struggled to understand how her parents had succeeded in leaving Europe and surviving, while millions of others had not. She also always wondered about the numerous siblings of her father (one of 21 children) who never made it to New York, or Salem, or anywhere. She hated reading about the Holocaust. Maybe it assuaged some sort of guilt she felt for having been so lucky, but I don’t know. A friend’s mother died several years ago. Her granddaughter spoke at the funeral and said that her Baube was the love of her life. I couldn’t say it any better. Now it’s your turn: With the holiday season approaching, many will face the dilemma of how to choose books as gifts. 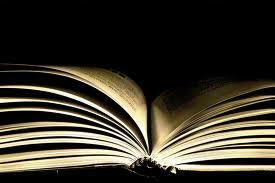 Please share your secrets for suggesting or selecting books for others. This entry was posted in The Necessity of Reading and tagged Baube and Zayda, Ellis Island and Immigration, Homestead Act, Jewish Diaspora to Oregon, Jewish Emigration from Tsarist Russia, Jewish-themed Novels, Large Print Books, Lincoln High School Portland Oregon, Selecting Books for Other People, The Book Thief, The Story of Edgar Sawtelle, The Yiddish Policeman's Union, Thomas Tongue, Yiddish Language in America. Bookmark the permalink. Back when I worked at a bookstore, I loved interacting with customers and trying to find books I thought they would enjoy. Actually, that’s pretty easy if you know a wide variety of titles to suggest. What’s not easy is helping them find books for others. Maybe it’s not surprising that people don’t really know what sort of books their friends and family enjoy. I’ve sure made this mistake before with my own family. If they do know what their friends and family like, then books are a wonderful gift. If they don’t (bookstores don’t want to hear this), they should opt for something else! I’d say the secret is to ask them what books their friends have read and enjoyed. Lovely portrait of your Baube. So many specifics on which to comment in this beautiful post. From a personal standpoint, I’m reminded again of parallels and contrasts between your Jewish immigration history and my Amish Mennonite immigration history, but I’ll spare you the details :-). Suffice it to say your portrait made me love your Baube, and the beautiful way you found to contribute to her care-taking from a distance. Thanks Deb. I’d love to hear the Amish Mennonite immigration story someday. This was so interesting, I really enjoyed it. The Book Thief was a good book, even for adults, and I think a movie was made of it. I rarely give books anymore because most of my friends buy E-books. However, I have given gift cards to a bookstore, so that the person can choose what they’d like. I know it’s impersonal, but people’s taste seems to change in what they like to read. I loved this story. I have very fond memories of Aunt Leah. More than anyone else, she was the glue that held the Steinbock family together for so many years, keeping tabs with every nephew, niece, and cousin. I would have loved to have talked with her about Yiddish Policeman’s Union. I wonder what she thought of it. 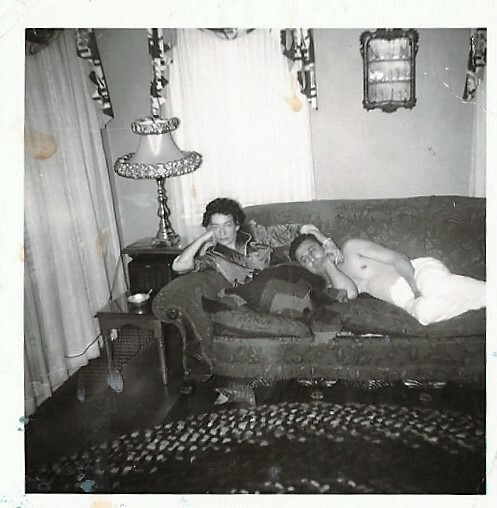 I also love the photos, especially the one of her and Uncle Louie on the couch. Thanks for your note, Steve. She loved keeping up with where everyone was, and what they were doing.